A wonderful place where you want to walk and walk. 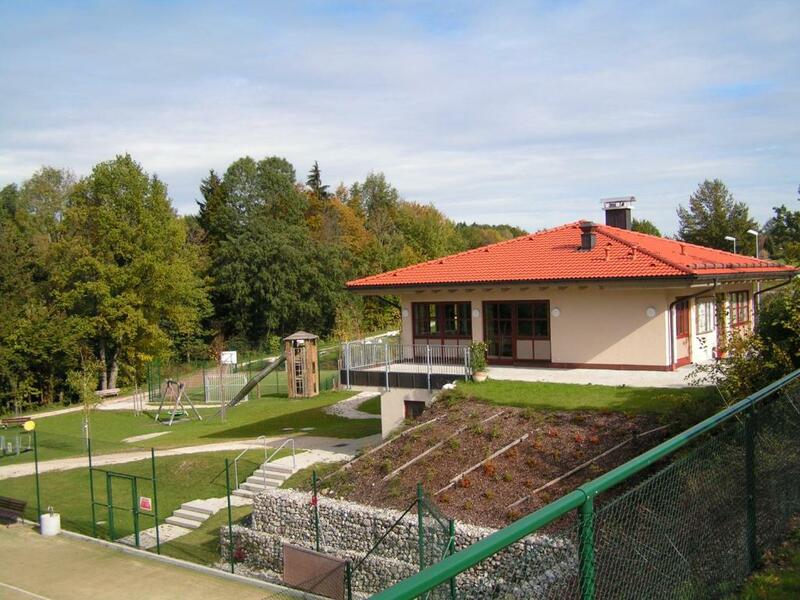 The view of mountain and the Play ground for kids, we are really enjoying when we are staying. The staff friendly and they are very cool. Large apartment, fully equipped kitchen, beautiful surrounding, friendly and flexsible staff. There was absolutely no problem to pick up our keys after 18:00. Rooms are really comfortable. Everything is in place. Everything is simply P E R F E C T !!! Already booked for the next year. Just make sure you have a car!! Excellent location! Great views! Property is really clean and has all what is needed! I spent 7 days with my family there and we enjoyed a lot. Normally we went out every morning and came back in the afternoon. The bathroom was big and looked like renovated. The kitchen was very useful for a quickly meal. We arrived late, but keys for all three apartments were left for us in easy to find location. Parking was right next to the buildings. Very quiet location, but not too far by car from restaurants or grocery stores and the Autobahn. Large refrigerator and freezer. Good base to visit Berchtesgaden area for a couple of days. 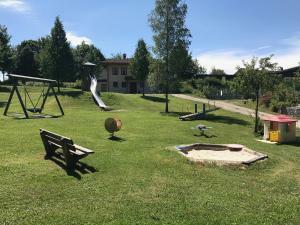 Der Ferienpark hat eine tolle Lage mit herrlichem Blick auf die Berge. Es war für uns 5 sehr geräumig und alles da was man braucht. One of our best sellers in Siegsdorf! 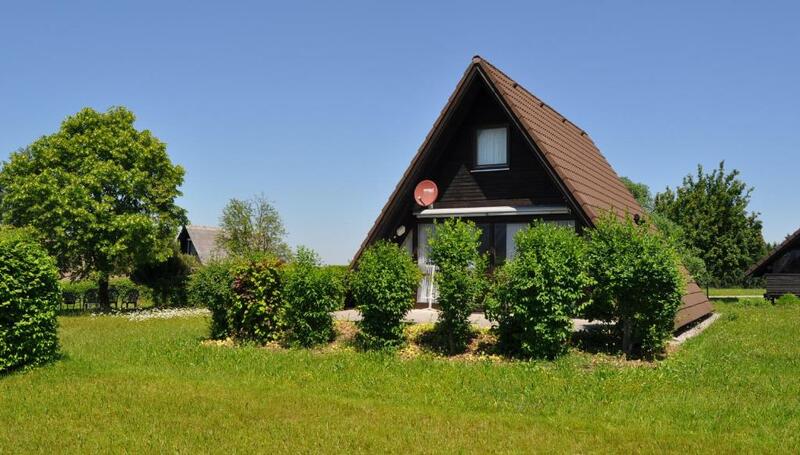 Peacefully located in Siegsdorf, Ferienpark Vorauf offers self-catering apartments and holiday homes with fully equipped kitchenettes. Look forward to a large garden, tennis courts and mini golf. Your accommodations also features a TV, a balcony and a dining area. Bed sheets and towels are provided for an extra charge. The surrounding countryside is ideal for hiking, cycling and winter sports. 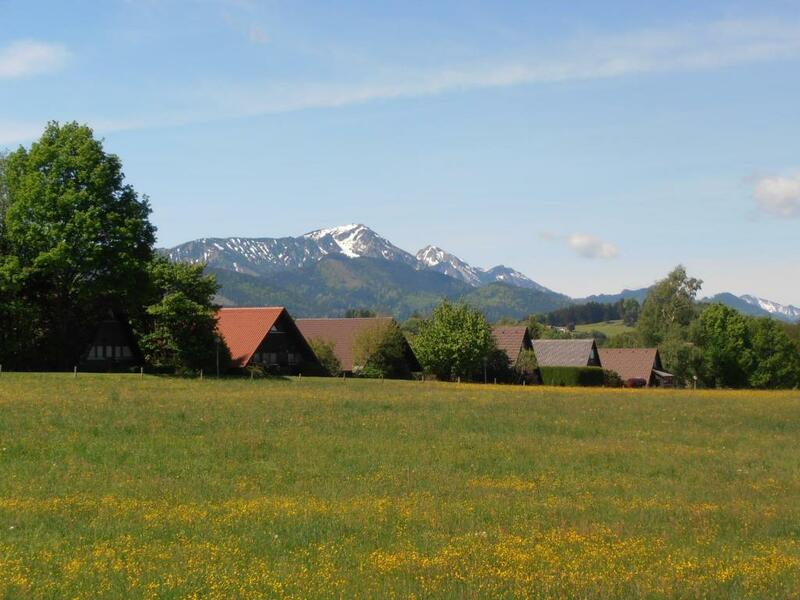 Ferienpark Vorauf is just 10 minutes from the A8 motorway, allowing easy access to Lake Chiemsee (12 mi) and Munich (56 mi). 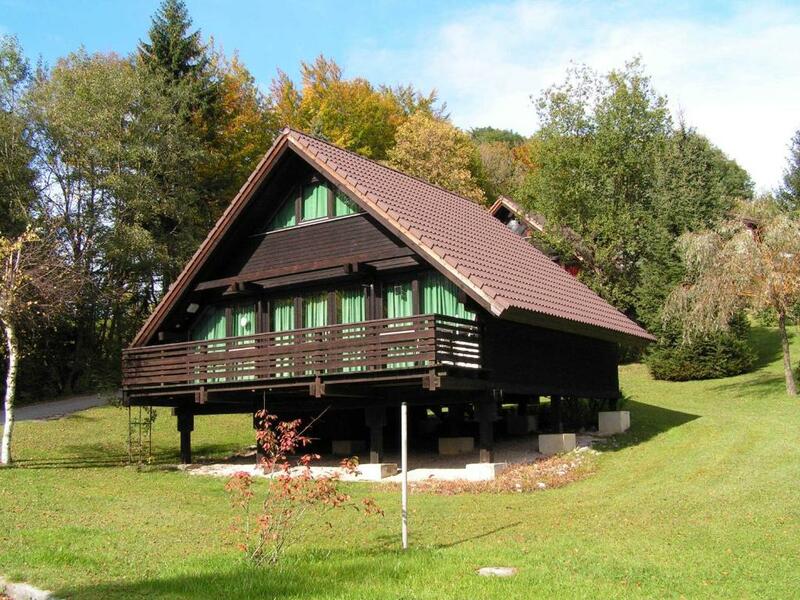 When would you like to stay at Ferienpark Vorauf? This holiday home features a balcony, electric kettle and kitchenette. This apartment features a sofa, kitchenware and dining area. This apartment has a kitchen, dining area and tea/coffee maker. This apartment features a balcony, private entrance and kitchenette. This apartment has a private entrance, sofa and dining area. House Rules Ferienpark Vorauf takes special requests – add in the next step! Please note that the pictures shown are only examples of the accommodations type. The actual design of the accommodations can vary. Electricity costs will be charged according to use at the end of your stay. Please note that the full amount of the reservation is due before arrival. Kreiler GmbH will send a confirmation with detailed payment information. After full payment is taken, the property's details, including the address and where to pick up the keys, will be sent to you by email. -I have to pay the bed linen and the towels it must have to be inclueded at the price. -The reception close to near. Bed linen and cleaning are not included in the price and are deducted from the Deposit money - it is not convenient. No Wi-Fi but you can use the Wi-Fi in reception free, No wash machine I have to go to reception they have wash machine I can wash my clothes in 5 Euro. The mobile signal it was poor in my location. The isolation in the house is not so good. When we arrived the house was a little bit cold (August), but the weather got better and the house was a little bit warm. But everything was under control. Dated apartments, with awkward layout. Slightly difficult to find using anything other than the Booking.com map feature. our Garmin GPS took us about 3-4 kilometers away, in another location.